During times of perceived stability, our personality-self, inner child and outer surroundings support a sense of harmony that is density based. That is, we experience relative stability and a low level of anxiety. The world itself is not immediately threatening us and we feel safe in our day-to-day expression of the “self”. This sense of balance is a momentary respite from density challenges. As you reflect upon that sharing, do you remember the experience of this type of stability? This stability is the realm of a healthy ego that is not greatly struggling. Because density stability depends upon outer circumstances, the peace never lasts. As we introduce the soul’s energy and wisdom into our daily lives the ego will feel threatened and seek to restore things to the way they were. Yet, with spiritual tenacity a deeper peace and balance are attained and the ego relaxes into the unconditional love of the Soul. This surrender is the result of the consistent practice of the Yoga of Self-Ascension. 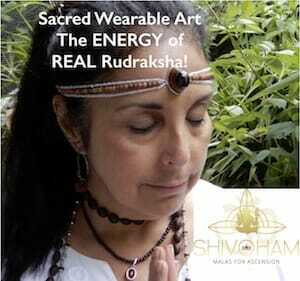 as the Ascended and Healed Presence you are! “We fall asleep so that we may heal…AND…when we are healed…we AWAKEN!” Density consciousness is the sleep that supports healing. 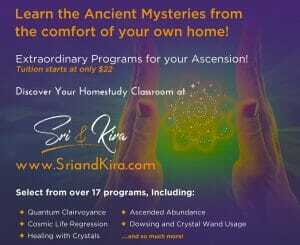 Awakening through density is a signal that you are healed and ready to self-ascend. The awakening process is itself a journey, and the ego-habits and shadow aspects of our consciousness do come forward for resolution. It requires love and tenacity to resolve the egoic remnants. With the truly divine alignment of the two current Retrograde energies of Saturn and Mars, PLUS the momentum that is being called forward with the Blood Red Moon Full Eclipse on Friday, July 27, this is a divine moment to fully call forward the shadow and witness the ego as it dances with the perception of stability! To witness the ego as it dances with our experiences assists us to gain perspective and compassion for ourselves and others. Each time we are triggered by interactions and events we get to witness our ego and uncover our ‘operating system’. A healthy ego acknowledges that its inner child is sometimes triggered by fear or anger and will find ways to cope with those challenges in order to preserve that self-esteem. However, it is not uncommon for many people to preserve their self-esteem by blaming others. This is the classic “partners in pain” scenario and usually involves seeking a friend/partner/associate to validate our judgments and enlist them to confirm the blame belongs elsewhere. This is how we avoid looking at ourselves; we assign responsibility for our pain to another person or outside source, often distorting the situation to suit our need to feel safe and/or superior with our inner environment and worldly experiences. Blaming another is socially acceptable as it cements us firmly into the victim triangle. 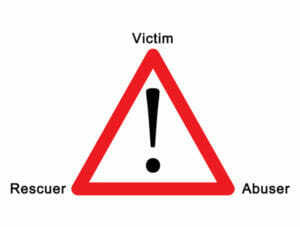 Once we embrace the energy of the Victim Triangle, we easily circulate between the roles of Victim, Abuser and Rescuer. When we seek outer validation for a judgment then we do not have to look inward; we thus avoid the tension of personal growth. Each trigger provides a stimulus to “pop or drop”. That is, do we grow in awareness and emotional healing or do we ‘drop’ back into an egoic comfort zone? Do we engage the Victim triangle? and that is threatening to the ego. 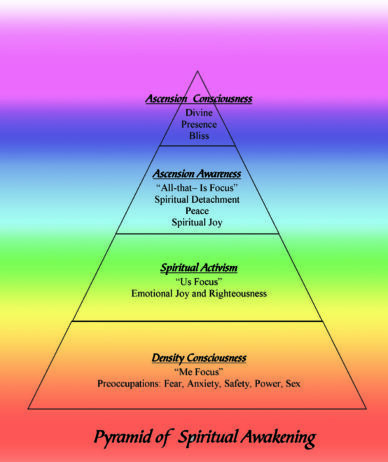 As we lift through the Pyramid of Spiritual Awakening, (see illustration next page), there will be many “pop or drop” moments. Because we identify with our known emotional states and the ego tends to fear and reject having to change its point of view. Thus, growth moments are frequent! And, spiritual growth is supported through maintaining a steady trust of the Divine as expressing through your own Beingness. As the massive planetary energies are moving into an alignment that will support greater polarity and chaos, this writing is being offered to support you during a time that will stimulate greater confusion and heightened polarity! This energy will find a welcome playground in the density experience and it will seek to manifest through you and within you any way possible. Density is the playground for the ego and there are many, many forces that want you to ‘play with them” at that level of consciousness! This indeed is a moment to pay attention to your ego and witness how it is trying to separate you from your Peace, your Love and your Joy! 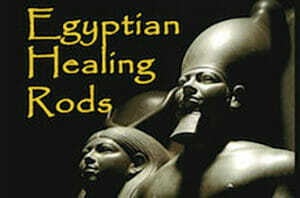 Illusion will seem as real as the divine if you allow this energy/drama to infiltrate at the level of the wounded child. Density society as a whole encourages limiting beliefs as they assist in spreading fear and doubt, and thus build outer allegiance. There are plenty of congregations of religious sects, political parties and personal friendships fully organized around accepting other people solely because they hold shared beliefs in common while excluding others. This is the peak density experience of Spiritual Activism! The appeal of this process is that participants are protected from having to think deeply or explore their truths and this offers an illusion of safety. It is when we sincerely begin to look deeper and explore a deeper level of truth that the expansion into mature consciousness cultivates within. This expansion process requires patience and self-trust. Why? Because as you open and become available to deeper understanding, the lens of your ascended presence naturally dissolves the ego’s dominance. Thus your ego will also rise in many subtle ways to do “battle” with your ascended awareness. avoids blaming ourselves when it is so much easier to blame another. The bottom line is that it is just plain easier to “find a reason” to justify your older set of beliefs than it is to grow through them! The ego gets away with this simply because we have not looked deeply enough to uncover the shadow aspects. Blame is an energy called forward from the inner child and it implies character flaws. When we blame another we condemn them with a belief that they should have known better. But is that always the case? Consider the deep-seated judgments required for blame to even arise! A more refined way of understanding a situation is to look at who carries responsibility. If I accept responsibility for something, then blame dissolves. There is only the act of success or failure. If I fail in a responsibility, there will be consequences. Witnessing those consequences informs us and then learning and personal growth can happen. Growth does not require blame; it requires awareness! So what is the role of blame? To blame another is a way of punishing them without facing responsibility for our own actions. The desire to punish arises from a wounded inner child who is carrying unresolved hurt. In childhood we often learn that failure is punished, both emotionally and physically. So why risk accepting responsibility? Our childhood wounding ALWAYS includes negative LifeScripts™. These are negative judgments the ego holds about itself and others. Two of the most universal LifeScripts are : “There I something wrong with me” and “I deserve to be punished”. These LifeScripts operate like a computer software program and activate when certain triggers are stimulated. Once triggered, a LifeScript calls forward unpleasant emotions along with a cascade of thoughts and judgments. With the current vast astrological alignments and strong pull from the Full Moon Lunar eclipse, the energy of the past months, and especially through the end of August, toeghert this will facilitate the energy of being triggered in multitudes of ways! toward another? This process is the normal experience of unhealed LifeScripts…and it is VERY common. What is also common is for the ego to defend itself by displacing responsibility. That is, blame someone else for any perceived shortcoming. Instead of feeling the deep discomfort of “There is something wrong with me” the inner child projects the LifeScript outward and believes “there is something wrong with you”. The outward projection of LifeScripts also applies to punishment. If you grew up in an environment where behaviors were punished then “I deserve to be punished” is easily swallowed and at trigger moments that belief projects outward as a judgment that another needs to be punished. With these discernments at hand, it becomes easy to see how society as a whole can become dysfunctional. Every religion teaches some form of the Golden Rule. And one of the Ten Commandments of Christianity is “Thou shalt not kill”. Yet, governments and educational institutions find reasons not to embrace these simple dictates. Blame, punishment, righteous killings, branding others as less than, all reflect the manipulative dominance of unhealed egos. When you can clearly see this, you are indeed finding the gifts and awakening. We are at a Global moment where there are MANY converging energies seeking to keep these outdated ways of living in place! An awakened population is indeed a threat to the status quo. This is a very power-filled moment to sharply pay attention! Wounds of any type are a universal human experience, and in part that why we took birth here! Carrying LifeScripts is universal as the ego was birthed when we individuated. To protect the physical life of the individual, a protective identity develops in order to keep us safe. However, the ego itself was never intended to dominate ones life experience. The ego presents an opportunity facilitate our mastery by awakening through it. The wounds and joys of childhood magnified through the limited perspectives of a child, form the basis of our ego identity. Usually, over time we ‘grow up”! We heal, mature and evolve! The ego softens and becomes wiser with time when we awaken through this process. However, it never (NEVER!) wants to lose control over your life choices and directions. The basis for the ego’s existence is to monitor your life and collaborate with the mind to keep you safely content with density. there is a heightened possibility of this gaining momentum over the next few months…thus, this is the time to be honest with yourself! Imagine what happens as you adjust your view to recognize that the key players on the world stage are operating from the inner psychology of an injured child? Defensive, judgmental postures empower the wounded child and offer it a voice and physical power that it never had when younger, so the ‘acting out’ is reinforced by others who also want validation for their shadow parts. With this perspective in hand, the deeper understanding of “Forgive them, they know not what they do”, reveals itself with greater clarity! The gift of LOVE THEM, They know not what they do arises from the healed being. Most importantly, are you willing to honestly pay attention to your own egoic content and call forward the Light of Consciousness to illuminate the unhealed “software programs”? Remember that You too are innocent! The path of living an awakened life through the Yoga of Self-Ascension necessitates vigilance to the pathway and loads of self-love. It is an evolutionary path of mastery and there will be plenty of distractions along the way. Especially when the ego feels threatened. Mastery is an expression of your willingness to embrace a deeper truth and expand beyond egoic perspectives. Mastery is expressed through self-forgiveness and self-correction without the need to create a victim/abuser/rescuer experience. Awakening begins with awareness. Vibrational upliftment requires that we soften the ego’s dominance and allow our soul’s love and wisdom to gain greater expression in our life through all of our experiences. There are steps and practices that will support this journey and continually choosing YES to our expansion is a blessing we can gift ourselves at any moment. If you discover yourself triggered and lashing out with judgment and condemnation of others that is the moment when the Avesa Breath and the Mantra of Self-Ascension can come forward as the ultimate guide! We will explore common pitfalls and offer practical spiritual solutions in our next article in this series. We love you and support your journey! OnenessTalkRadio.com is a unique space offering a wide range of shows dedicated to supporting the energy of Oneness. A positivity portal awaits you anywhere and anytime!